Not to be outdone by American Express, Chase and Marriott have put together a very nice bonus. You’ll earn 100,000 Marriott points after spending $5,000 in 90 days. This is the highest the bonus we’ve seen on this card in some time. What makes it sweeter is the fact that you can transfer to Starwood SPG. The transfer rate seems crappy at a 3:1 ratio, but hang on. SPG points, which you’d net 33,333 of them if transferring all 100k from Marriott, can then be transferred to over 30 different airlines. Alaska Airlines is on the best transfer choices. SPG also adds a bonus 5,000 points towards your airline transfers when moving in 20k chunks. If you moved 30,000 SPG points to Alaska, you’d net a total of 35,000 Alaska MileagePlan points. 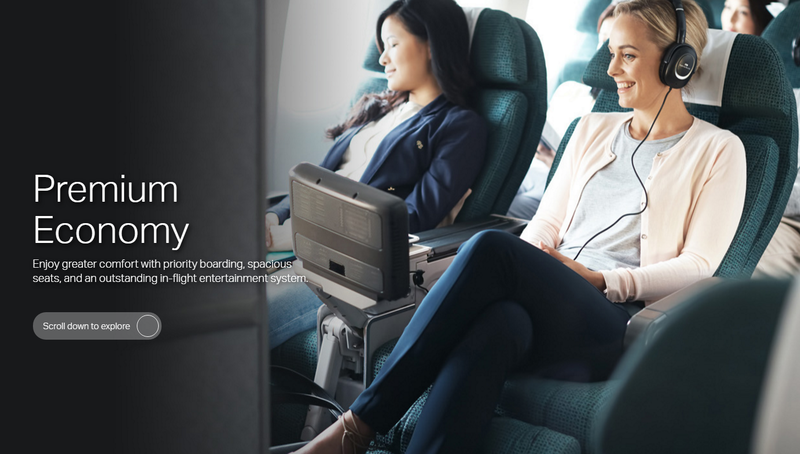 That is enough for a one-way on Cathay Pacific (a points-partner of Alaska) from the US to Asia in Premium Economy. Imagine First Class on a domestic flight, that is the rough equivalent to Cathay Pacific Premium Economy. (Think; Bangkok, Singapore, Hong Kong, Tokyo… want to go?) All thanks to a hotel credit card. Premium Economy on Cathay even gets you a welcome glass of champagne, nice in-flight headphones, and an amenities kit! I recommend the site Award Mapper to discover Marriott or SPG hotel options based on the points required per night. You could stay 4 free nights at the Renaissance Ratchaprasong Hotel in Bangkok, check out the review of our recent stay (hint: we loved it). At roughly $180 per night, four free nights would save you around $700. Not bad for a single credit card offer. Remember, at a 3:1 ratio when transferring to SPG, you can still get a ton of value. SPG free nights start at just 2,000 points. Again, check out Award Mapper to find out how far your points will go. If you aren’t sure if you are over 5/24, pull your credit report and look at all the cards opened in the last 24 months. If you have opened 5 or more credit cards, which report to your credit, in the last 24 months, they will decline you. Some people have had luck calling Chase since they typically still count cards even if you are just an authorized user, but they may be lenient if asked nicely.